Log into your web-browser based Walker Tracker account (vs. our app). Click on your username. You'll see on the first tab labeled "Profile" the area that says "Password". Click in the blue text to change your password. 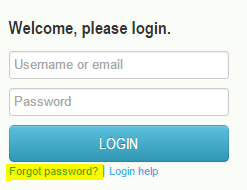 You'll need to put in your password twice and hit the green "Update Password" button to save your new password. 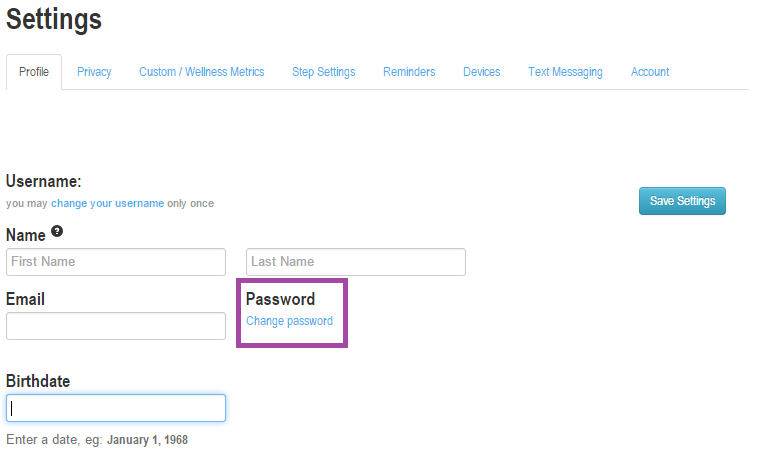 If you've forgotten your password, you can request a new password by clicking "Forgot Password" underneath the blue Login button on your web-browser based Walker Tracker account. 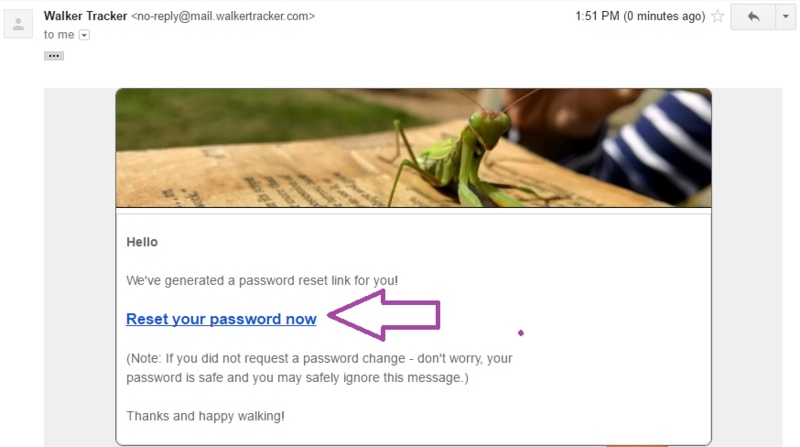 You want to click on the blue text that says "Reset Your Password Now", and you'll be taken to a screen with a box that you can enter a new Walker Tracker account password with. As a note: The password reset email is only valid for 10 minutes, so reset your password as soon as you see the email to avoid having to have another reset email sent. If we're not able to find the email address you entered in our system you'll see a message displayed in a beige colored box: "Sorry - we weren't able to find that email address in our system. Are you sure that's the email address you registered with?" Try entering your email address again to make sure this wasn't a case of a typo when entering your email. If you're still seeing that message displayed, please visit this page for some ideas on what could be happening: I Cannot Log Into My Walker Tracker Account and/or feel free to write us at support@walkertracker.com.